I almost hesitated on writing this article because it goes against the earlier advice I have published in my book and what I have taught and this might upset some publishing traditionalists. However, for the sake of my professional integrity, I have to modify my stance and views on an important aspect of publishing: buying ISBN’s from Bowker. Given how the publishing industry has dramatically changed in the last five years, I have begun to question the economics, relevancy, and usefulness of Bowker and ISBNs. For those of you who don’t know what the ISBN (International Standard Book Number) is, it is a unique identifying number assigned by R.R. Bowker. They are the company that serve as official keepers of ISBNs and assigning them to U.S. publishers. Until very recently, if you wanted to be in the publishing business, you had to buy your own block of numbers so you could assign a unique number to your title or work with a publisher that had their own block of numbers to assign. You had to buy them because traditional bookstores, distributors, wholesalers, and libraries use it. With the advent of Amazon, online retailers, and ebooks this is no longer necessarily true. In many situations as in the case of ebooks, the ISBN is not required even if you sell through Amazon or Smashwords. And in the cases where the ISBN is still “required”, you can get an ISBN for free. In theory, every publisher is supposed to buy their own block of ISBNs. 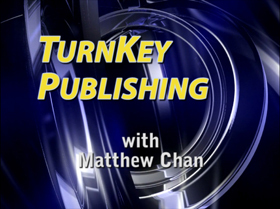 From there, the publisher assigns an ISBN to each individual title (book, CD, etc.). The publisher is then supposed to report it to the folks at Bowker so that the work can be included in their BooksinPrint database. If you have a title that exists in multiple formats (eg book, audio CD, ebook, DVD) each of those formats is supposed to get its own unique ISBN. If you ever release a revised or update edition of a title, Bowker says you are supposed to assign a new ISBN to each of those revisions. In today’s publishing world, one title can easily generate multiple ISBN’s. And if you ever decide to update that title, that is another batch of ISBNs you need to use. And that is also one my big problems with Bowker’s ISBN system. It can quickly get very expensive for most self-publishers or small publishers because of the burn rate of ISBNs. Let’s be clear, Bowker has had a legal monopoly over this for decades. As with most monopolies, Bowker takes advantage of it by periodically increasing their prices to sell their blocks of ISBN. Despite the fact that computers, Internet access, and technology in general is more efficient and less expensive than ever, they are charging ever increasing prices as if it is a tangible product. They will probably say that the cost of administration has gone up. If they say that, then they will be the only company that has gone backwards in having technology work for them. For example, until 1999, Internet domain registration services were once solely performed by Network Solutions. Internet domains were $65 per year. Because Internet domain registration services became a competitive marketplace, we now enjoy domain registrations for less than $10 per year. So, until Bowker no longer has a monopoly over ISBNs or the publishing industry entirely moves away from the ISBN system, there are business and economic concerns for self-publishers and small publishers to simply and blindly following Bowker’s lead in this. Bowker has a problem in that its continued fortunes are tied to traditional publishing. The biggest supporters of the ISBN system are traditional publishers, traditional bookstores, libraries, distributors, and wholesalers. They have a financial need to continue perpetuating the traditional system. With the Internet, Amazon, Hulu, Smashwords, print-on-demand, ebooks, “amateur authors “, and the avalanche of providers outside of traditional publishing, Bowker is gradually losing its power to mandate usage of the ISBN. 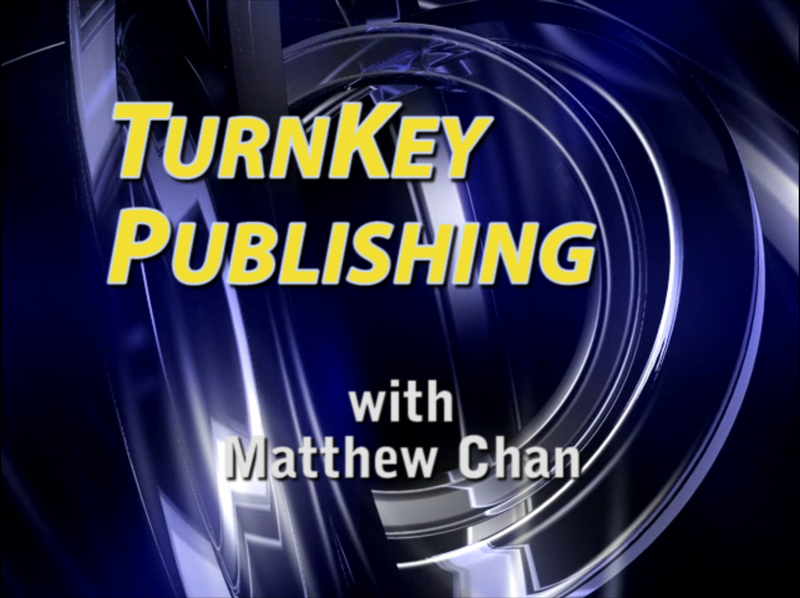 Self-publishing as a niche industry has virtually eliminated most of the negative stigma associated with it and has evolved to a fully viable and respectable publishing option for authors today. Additionally, the number of independent publishers (publishers that are between self-publishers and traditional publishers) far outnumber those of traditional publishers. In the last 10 years as the self-publishing movement grew, Bowker discovered a huge epidemic of self-publishers who were buying single ISBNs from the secondary market. For many years, Bowker never sold single ISBNs because ISBN use was intended only for publishers, not self-publishers. As publishers assigned ISBNs, they were also supposed to report to Bowker which titles and works they were being assigned to. They only accommodated smaller publishers with their smallest blocks of 10 ISBNs. As a general rule, self-publishers do not want nor care about buying a block of ISBNs or reporting titles to Bowker’s Books in Print. They simply want to sell their books. As such, they found ways around Bowker by buying single ISBNs from underground ISBN resellers. Self-publishers simply wanted a single ISBN for their book so that it could be sold through traditional channels. Bowker has attempted to stop this with new rules by forbidding buyers of ISBNs from reselling single ISBNs. However, this has not proven very effective as there was no easy way verify or enforce this. And so, today, Bowker sells single ISBNs for $125.00 each! It is an outrageous price to pay just for a unique number to put on your book. For a block of 10 ISBNs, it costs $250.00 or $25.00 per title. That is still a steep expense. For a block of 100 ISBNs, it costs $575.00 or $5.75 per ISBN. I can live with that as a unit cost but who wants to pay upfront $575? For a really good deal, you can pay $1,000 upfront for a block of 1,000 ISBN, which is $1.00 per title. To make matters worse, Bowker continues to milk their cash cow by increasing ISBN prices at a time when releasing multiple formats of a title is becoming the norm. Like domain registration names, ISBNs are a virtual product, not a physical product. I have a real problem with virtual products increasing in price instead of decreasing in price. In any case, what that currently means is that the cost of releasing the same title on multiple formats increases the number of ISBNs used. Hence, Bowker makes more money through selling more ISBN blocks. I have no false notions that the ISBN will be going away quickly but there is very little reason for anyone having to tolerate paying Bowker’s outrageous fees or follow their so-called rules. On Kindle, you can elect to use Amazon’s ASIN number bypassing Bowker’s ISBN for ebooks. On Smashwords, ISBNs are not required for titles. However, Smashwords makes Bowker’s ISBNs available for free as long as you are willing to have Smashwords listed as your publisher. On CreateSpace, you can get a free ISBN as long as you are willing to list them as your publisher. For an extra $10, you can list your own publishing imprint. For many self-publishers and small publishers, being forced to use Bowker’s ISBN is a financial thorn in their side and yet another cost item to add to their expense. I have periodically followed Bowker’s price increases over the past decade and I don’t like it at all. In my view, they are unjustifiable increases in the technology age. In 2003, I paid for a block of 10 ISBNs before I realized I would quickly run out within 2 years. I then bought a block of 100 ISBNs in 2005 thinking it might last the rest of my life. Today, if I followed Bowker’s rules, I am not so sure it will last that long. There is a very real possibility that I will use up my 100 ISBNs within the next 5 to 10 years. And if Bowker continues on with their ever-increasing prices, it will be a very expensive proposition to buy another block of 100 ISBNs. Does that mean I then have to buy 1,000 ISBNs at a time to get my so-called “savings”? I think not. For me, I am going to do everything in my power to eliminate or at least minimize the use of Bowker’s ISBN except in cases where I absolutely “need” them. But if the publishing industry continues away from traditional publishing models as I predict it will, I can foresee a day when publishers and authors will entirely bypass the cost and hassle of the ISBN system and it will either become entirely free or be eliminated altogether. The days of Bowker charging extravagant ISBN fees for their cash cow are numbered. It’s great to hear someone else speak out on this subject. I must admit, it was a surprise but a welcomed one. I hope that things do change in the future, as you said, it’s not a tangible but digital product and should decrease in price not increase. This is a great post on Bowker’s 20th-century monopoly causing problems, and I came across it while researching for my book on eBook formatting. Thankfully, Amazon, B&N, and Smashwords don’t require you to purchase an ISBN to list an eBook with them. A universally-unique identifier (a combination of randomly generated characters) is a suitable alternative and doesn’t cost a dime. Bowker.com and myidentifiers.com has been down for a couple days. Their phones also appear to be down. Anyone know if they closed their doors? I just bought a block of 100 ISBNs and wonder what will happen to them. According to Twitter feeds, Bowker has been affected by the snowstorms and are currently down. Their web sites were all down from Oct 29 to Nov 1 due to a heavy wet snow causing power outages all over New Jersey. Back in the 70s I was given 100 ISBNs by Bowker…they were giving them away in order for people to use them…having just decided to use the process that the Europeans had adopted in the 60s. The publishing consortium gave RR Bowker the responsibility of keeping track. One of the main uses, and why publishers, libraries and academics want and need to use a unique number is that in citing a work, it is the only real way to know which edition of the work (a single title) one is citing…or being ordered by you or the library. I may not want the paperback, or I might want the ebook because of added material not in the hardbound. How would one order that without some unique number, or a direct contact with the publisher. The mis-use of the ISBNs is another problem. Some legitimate publishers are using the same ISBN for different versions/editions of the same title and when libraries are capturing this information into their databases for catalogs, often they get the wrong information. I’ve also run across the same ISBN for two completely different books; resulting in corrupted library databases. ASINs probably are useful, but they are yet to be recognized by cataloging systems naturally when online capturing book records. It also doesn’t help with duplicate records/books. I agree the pricing of the ISBNs seems out of control, and it seems that Bowker could actually pay for these (administration and equipment) through it’s sale of Book in Print usage on the back end, rather than front end by the publishers. This is especially critical if one has to use a different ISBN for each and every ebook format. A different model for costing out the administration; perhaps like that of domain name registration is in order…but then there wouldn’t be a single ‘book in print’ database. Thanks for sharing the historical perspective. I found that piece interesting. I understand the purpose of the ISBN and why Bowker would want to use a different ISBN for each edition available. It is great for THEIR mission. Unfortunately, they have taken what was considered a noble instrument and twisted it into an easy money-making machine without providing additional value. Many newer, smaller, and independent publishers are entrepreneurs. What they seek is often incongruent with what libraries, Bowker, and other “old-school” interests are. Quite frankly, newer independent publishers don’t care or want to pay for the privilege of making the interests of Bowker, libraries, and other institutional interests easier. All these publishers (like myself) care about is getting our works into the marketplace and, quite frankly, they don’t really do that. As much as they may tout their Books-in-Print program, mainstream audiences browse Amazon nowadays with little regard to the ISBN. And the fact that a single Identifier such as a single ASIN can be used repeatedly for ongoing updates of a given title or project may be problematic for traditionalists but a boon to others. Admittedly, I am biased towards the private sector. While it might be nice to receive academic accolades within “proper” cataloging systems, it really is very low priority for me because I know where my “bread and butter” audience is. They are not browsing Bowker’s “Books in Print”. And I personally don’t care if my published works are recognized by academia or not. We cannot be all things to all people. The advent of Amazon, ASIN, print-on-demand, and ebooks are some of the best things that could have ever happened to the publishing industry. They have uprooted conventional publishing wisdom rules and when many of us independent publishers look closely are the old rules, many are worth throwing out altogether. We all vote with our words, actions, and dollars. With a few exceptions, I have boycotted the ISBN system and refuse to support that system unless it specifically meets my needs. I cannot say I won’t ever use an ISBN again especially in the case of hard-copy, print books but for ebooks, ISBNs are pointless now that we have the ability to update our ebooks at will at anytime. For that matter, there is a school of thought from a subset of independent publishers that refuses to update their ISBNs even when they release a new and updated edition of their work. I know that makes the traditionalists cringe. However, the rationale is that their ISBN represents a hard-earned ongoing project to be built up over time, not an item to be casually discarded and restarted simply because of Bowker’s mandates. Additionally, it helps stymie the used book marketplace by ensuring that customers who want the latest version of any given title will buy it new since a particular ISBN is not necessarily being used to designate a particular “snapshot” of a work anymore. As you have pointed out, Bowker’s existing system is already broken since there are publishers who (intentionally or unintentionally) muck up Bowker’s rules of usage. As a point of reality, I tend to believe that traditionalists will continue to follow Bowker’s rules since they like and appreciate the rules. But I can promise you, there is an increasing legion of independent publishers who will “do it their way”. Unless Bowker wants to get into the ISBN-policing business, it is futile. Essentially, there will be two marketplaces. There will be those who conform to the traditional ISBN usage and then there is everyone else. The “everyone else” group will simply use a web browser to search out phrases and titles, not ISBNs. I self published a book and bought an isbn from a website and thought that I was the publisher. When I tried to list my title, I was told that the ISBN number was not mine and was not able to list it and in turn lost a big sale. I still have 2000 of those books left over. I am getting ready to print another book, but am still trying to figure out the right way to get an ISBN. Should I just goto Bowkers so I know I own it? About this Bowker outfit. Any company enjoying a monopoly needs to be regulated. Thanks for the information on Bowker. On my first two books, I found that getting a Bowker ISBN number was nearly impossible for the novice computer user. Their computer application was extremely awkward and since they had a monopoly on the system, their customer service left a lot to be desired. It’s amazing how skewed their pricing is against the solo publisher/author. This government sanctioned bias should be put to a stop. Unfortunately you need one of these for the iTunes book store if you’re charging. Give it time. This may change in the near future. The days of the ISBN will become numbered for those who don’t choose to adopt it. There seems to be a proliferation of the “designated agent” concept where a publisher can reserve a Bowker ISBN at a discount and then the author IS the publisher of record with Bowker. It’s called the ‘Independent Publisher Program” from what I read from publisher websites. Not that I track Bowker, I don’t, but I also do not find a thing about this designated agent program on their website. So I’m wondering if this is a publisher using pulling from their own block of ISBNs and listing the book under the guise that it is the author’s book and that is why ryan (comment above) lost the big deal. I dislike the system, and the prices, to be sure. But, hassle though it is, I still tell authors to go to Bowker if they insist on being the publisher of record. Of course, then I need a “non-exclusive license agreement” to sell and distribute the book at all. I do wish there was a way for me to do the legwork for my clients because I don’t mind the complexity of the process (that doesn’t mean I don’t want it to change).